The first image of Oscar winning actress Natalie Portman (Black Swan) as Jacqueline Kennedy in the currently filming bio Jackie has surfaced. The movie offers an account of the former First Lady in the immediate aftermath of the assassination of John F. Kennedy in 1963. Chilean filmmaker Pablo Larrain (No) directs from a script by Noah Oppenheim (The Maze Runner, The Divergent Series: Allegiant). Alongside Portman, the film will also feature Peter Sarsgaard (Black Swan) as Robert Kennedy as well as Greta Gerwig (Mistress America) and John Hurt (Dogville). Oscar nominated director Darren Aronofsky (Noah) is one of the producers of the film using his banner Protozoa Pictures. Jackie, which is has been in stages of development for several years now, at one point was to be directed by Aronofsky and slated to feature Oscar winning actress Rachel Weisz (The Lobster) in the title role. That didn’t pan out so instead Larrain will make his English-language debut with Jackie instead. Larrain last made the acclaimed drama The Club (which is currently nominated for a Golden Globe Award for Best Foreign Film) and next year will debut the biography Neruda starring Gael Garcia Bernal (Babel), a film centering around Nobel Prize winning poet Pablo Neruda. His film No (also starring Bernal) was nominated for the Best Foreign Film Oscar in 2013. 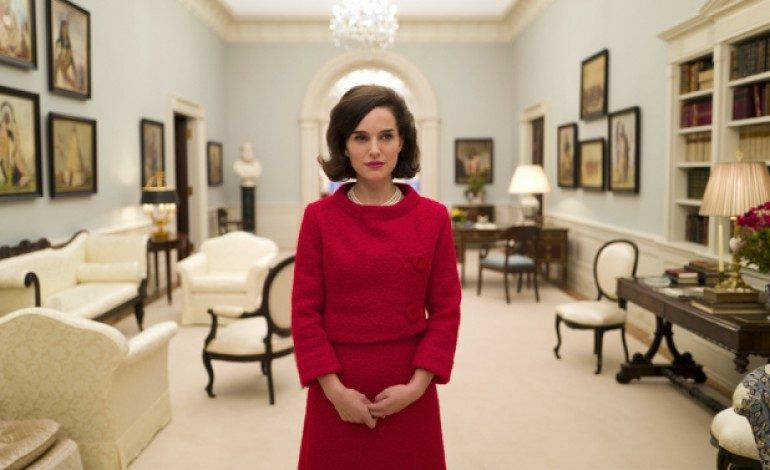 Jackie is currently without a U.S. distributor so release date information is currently unknown. However, given the talent both on and off screen as well as the subject matter, surely a distributor will come forth soon enough. In the meantime, Portman’s long-delayed western Jane Got a Gun is currently looking like the next place to catch the actress on movie screens- it’s scheduled to open on January 29, 2016.